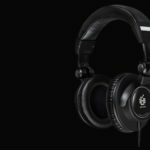 The topic of in-ear monitors for DJs is contentious, however progressively more professional DJs are stepping forward as IEM users having discovered that there are some really decent in-ear DJ headphones on the market. Simply blasting earbuds at full volume will undoubtedly harm your ears, however there are a number of professional options for in-ear DJ headphones that isolate the sound enough so that you don’t need to destroy your eardrums trying to hear your cue track in a noisy club. The advanced isolation and extra clarity that a large portion of professional in-ear monitors provide makes up for the difference to regular DJ headphones. 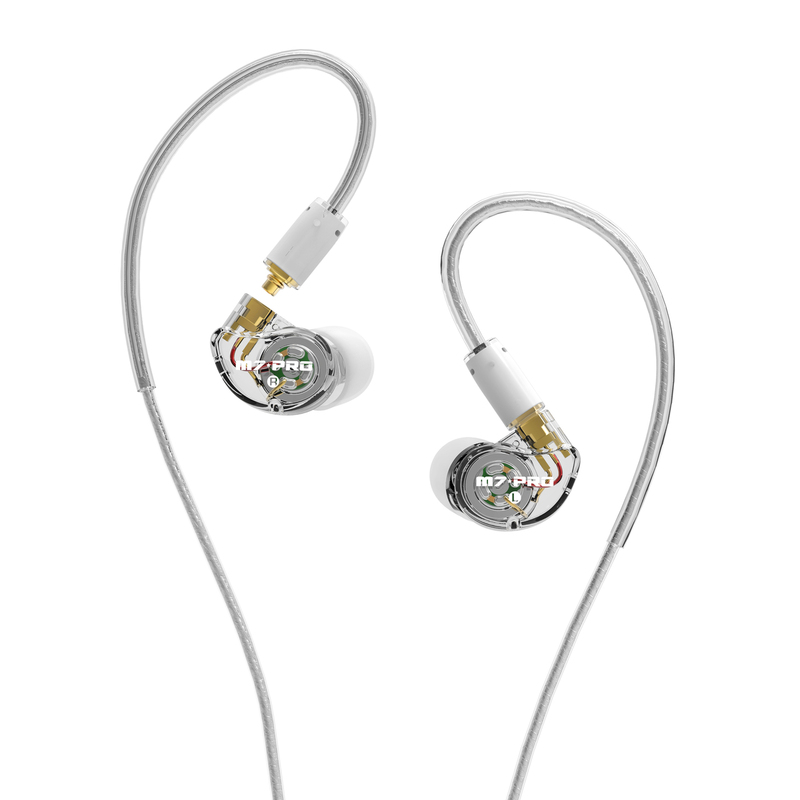 Ultimate Ears are the premium in-ear monitor headphone options, they have products ranging upward into the thousands of dollars and even offer custom-moulding for superior isolation. The Ultimate Ears UE 5 are their entry-level option; however, they are still superior to a lot of other in-ear options and offer the same level of isolation and frequency response as their top-of-the-range flagship model, the UE 18. The “FitKit” requires you to ship the impression back to Ultimate Ears to create your custom moulds, so shipping back and forth may take some time, so keep that in mind. 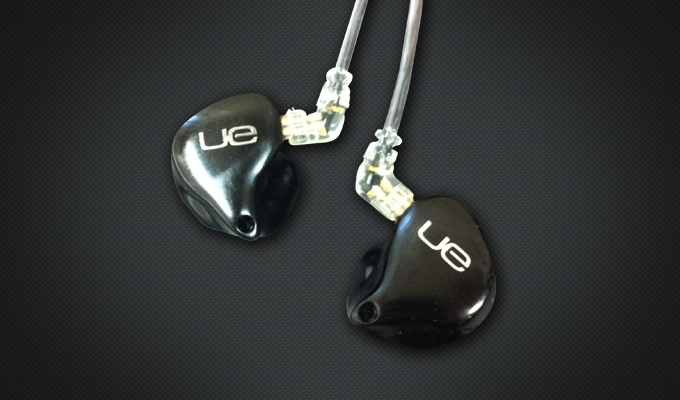 The Ultimate Ears UE 5 also ship with a custom hard-case which they offer to engrave with your name. 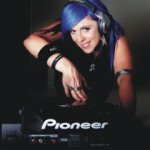 You also get the choice of an analog or Bluetooth enabled cable. 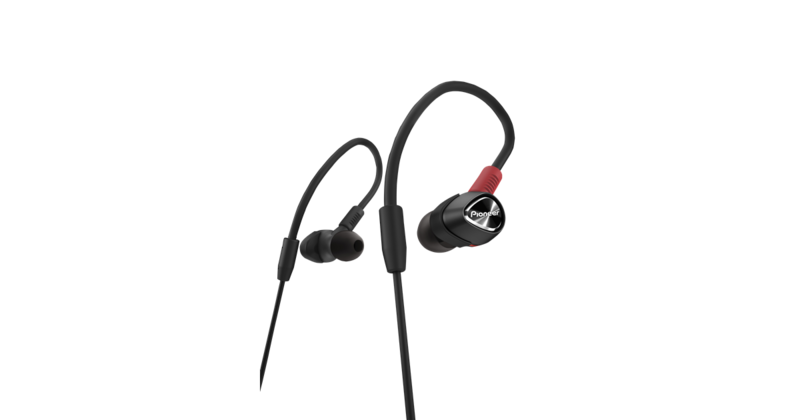 The Pioneer DJE series are in-ear monitors designed specifically for DJs, the DJE-2000 feature a dual-driver design for extended clarity and feature a unique over-ear structure to hold the earphones in place during your performance. The Pioneer DJE-2000 ship with a choice of different polyurethane or silicone earbud tips to find your perfect fit. 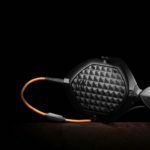 They also feature replaceable braided cables making them less likely to tangle and come packed in a durable carry case. 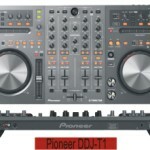 These are a great option for DJs who are used to the Pioneer sound yet looking for a more portable solution. The Shure SE425 are dual-driver in-ear monitor headphones with incredible clarity, and ship with just about every accessory you would ever need. 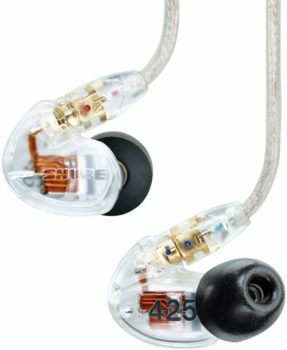 The Shure SE425 also feature a secure over-ear structure to keep the earphones in place, replaceable cables in various options, from analog to Bluetooth enabled. The Shure SE425 include eight different choices of earbud tips, to fine-tune to your exact needs. These are the slightly watered-down version of the Pioneer DJE-2000, designed with a single driver and a particular focus on clarity in the mid-range. The Pioneer DJE-1500 allow you to choose between a secure over-ear cable or regular in-ear earphone style fit for everyday applications. They also ship in a durable carry case. 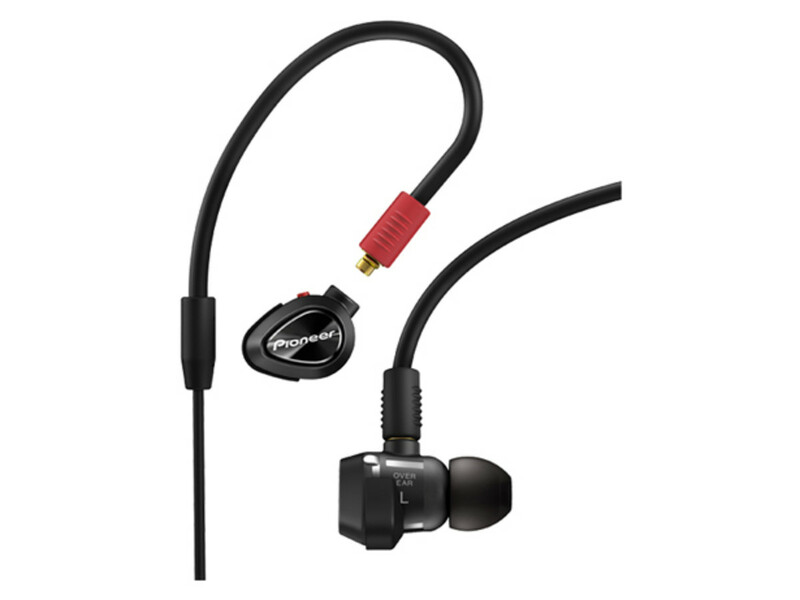 The single driver might not give you the extra clarity and audibility you need in an in-ear monitor, especially in loud environments. I think the focus with the Pioneer DJE-1500 was more on DJs looking for that Pioneer sound to use in their everyday listening applications. 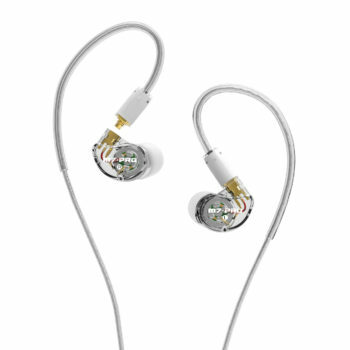 MEE are a relatively unknown brand; however, their M7 Pro in-ear monitor headphones definitely stand up to the competition. 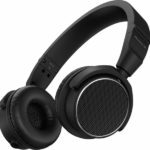 The M7 Pro are just about the cheapest dual-driver in-ear monitor headphones that I have ever seen recommended for professional applications. They also offer the ability to add custom moulded tips (extra USD $149) for superior isolation and clarity. The ability to upgrade the M7 Pro with custom tips is great, there aren’t many DJs who can afford the once off payment for something like the Ultimate Ears, so this is a great option for similar specs. 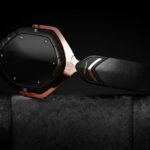 Whether you’re looking for everyday listening earphones with a professional sound, or you’re a club DJ who absolutely needs the isolation that custom-moulded in-ear DJ headphones will give you, there’s an option here for you on this list.